A postcard from MORITZ NITSCHE, sent form Berlin, Germany. Moritz was born and raised in East-Berlin. He is one of the first friends I made when I moved to Berlin in 1991. We met at a drawing group in East Berlin. At the time Moritz was still attending grammar school and I tried to find out in which direction my life would take. Now, Moritz works for the theater as a stage designer and is father of two daughters. His work led him to various cities in Germany and abroad. 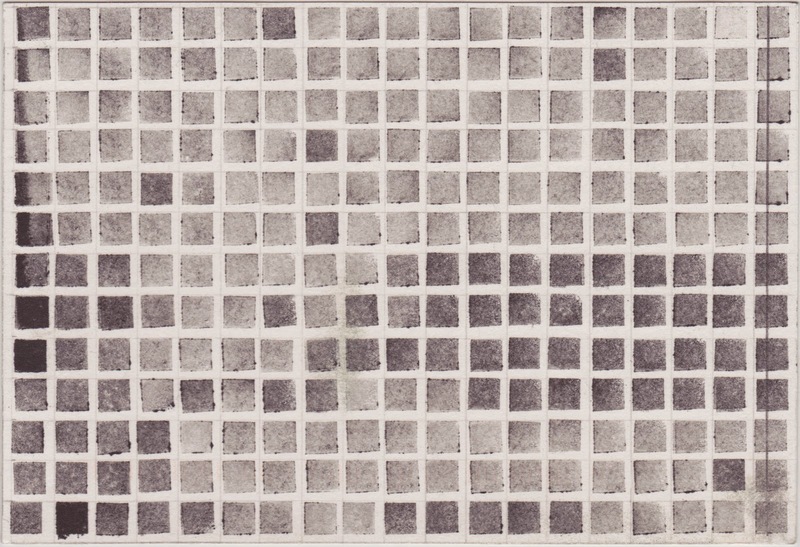 Besides of the theater work, Moritz is also a visual artist with a very subtle oeuvre of drawings, etchings and prints. For those who read German, HERE you can read an enthusiastic laudatio on Moritz, held by his former Professor an Mentor, Achim Freyer. I totally agree with him. 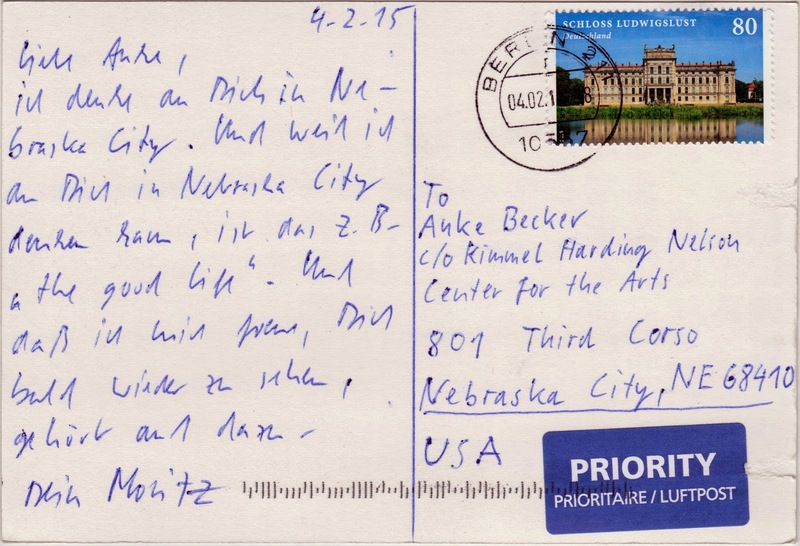 This is what Moritz writes on the postcard: "Dear Anke, I think of you in Nebraska City. 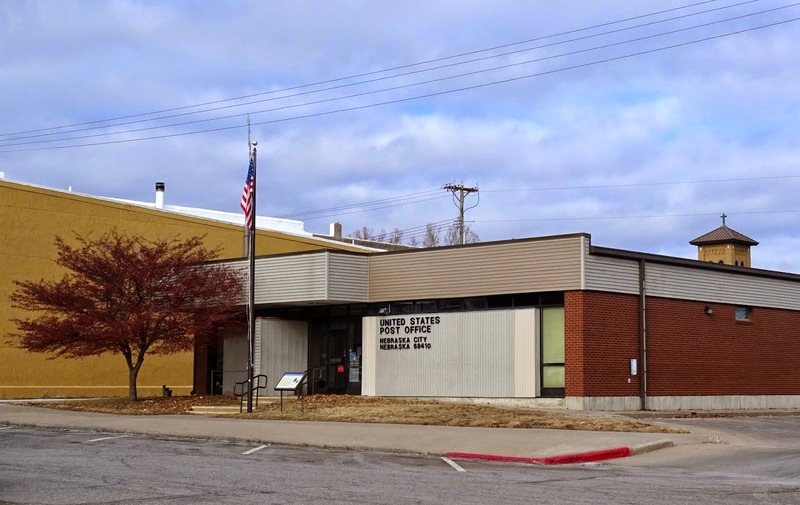 Because I can think of you in Nebraska City life - for example - is "the good life". And because I am looking forward to see you again, soon - this is also part of the good life. Yours, Moritz"